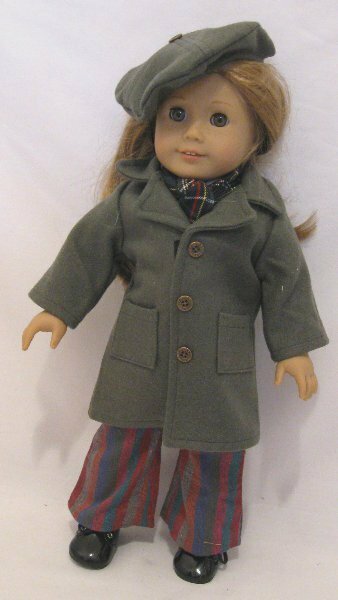 1970's style coat. It comes with a matching hat and scarf. Looks great when paired with our new jul-1. 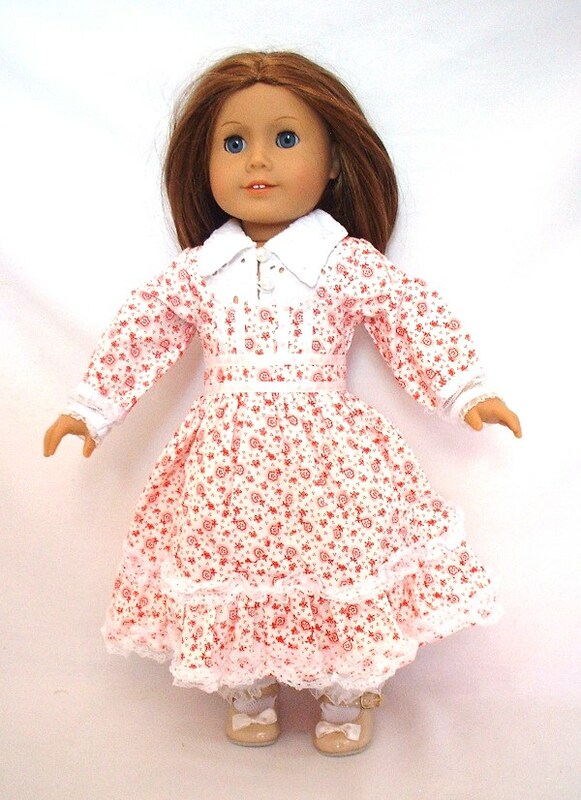 A line paisley dress with matching headband. White wide belt is included. This dress is fully lined. Off the shoulder top with ruffles, matched with a chevorn-stripped skirt with a belt at the waist. Includes a braided suede headbasnd that is trimmed with flowers. 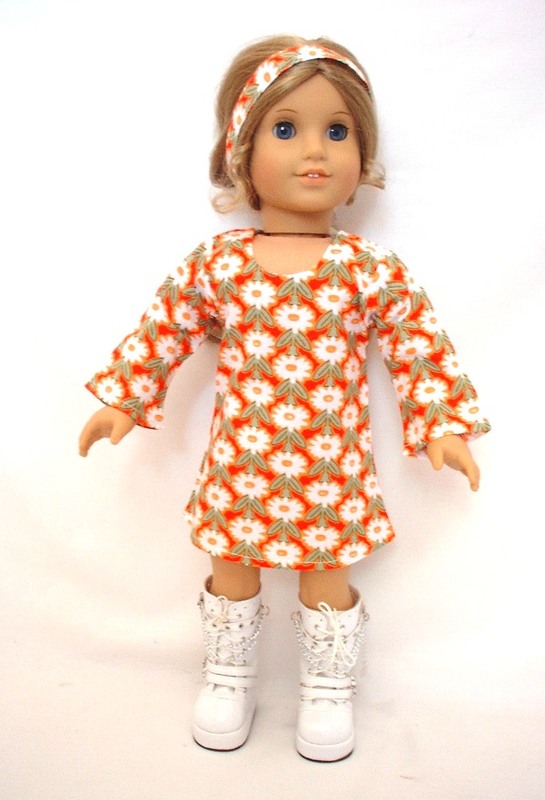 A groovy outfit! Our version of Julie's pajamas. 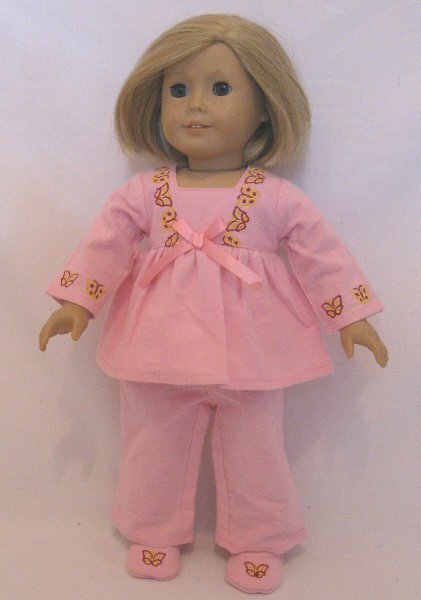 The top has a empire-waist, a flared pajama pants with butterfly trim, and includes a pair of pink slippers with a butterfly embroidered on each toe. 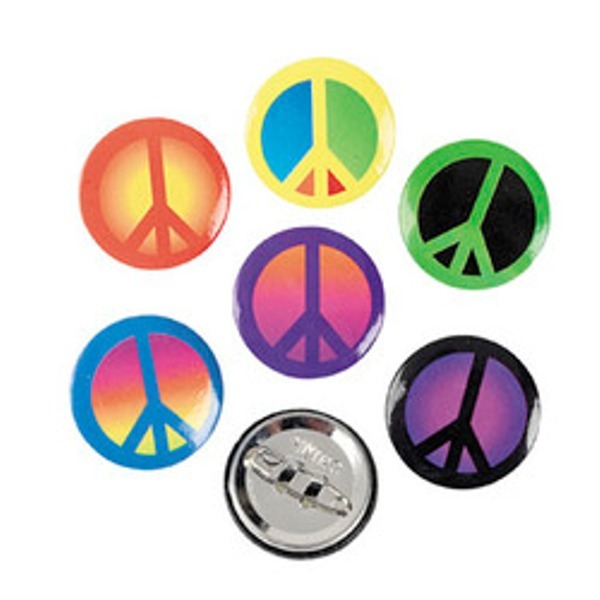 Mini peac Yo-Yos. 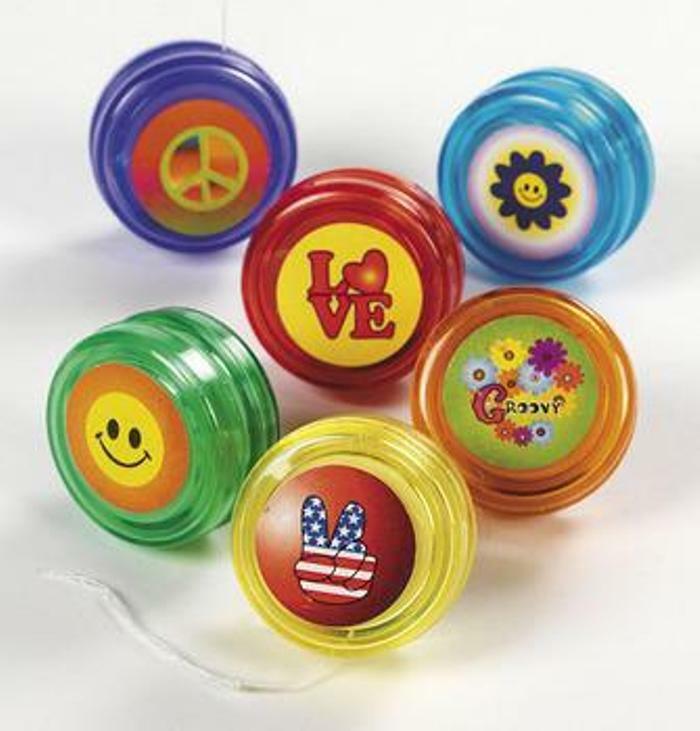 Mini yo yo's with varied peace symbols on them. Youe doll will love the metallic shine of these smiling pumpkin toys. 1 1/4"